During a difficult season in her life, Teresa Jackson was touched by the kindness and generosity of others. Today, more than 25 years later, Jackson, an adjunct professor and administrative assistant at Pensacola State College, is still paying it forward. Jackson collects, bags and provides individual emergency kits for victims of natural disasters. She started making the individual emergency kits following the 7.0 magnitude earthquake that decimated Haiti in 2010. And Jackson continues today putting together kits filled with toiletries, socks, underwear, combs, brushes, diapers and other personal items for victims of Hurricanes Maria, Irma and Harvey. The supplies – hotel-sized soaps, shampoos, toothbrushes, toothpaste and more – for the kits come from donations. 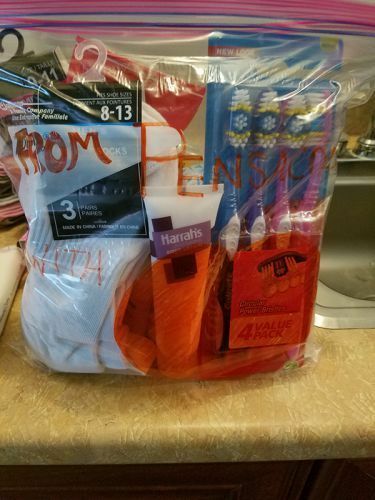 “I sent a batch of emergency kits to South Florida to victims of Hurricane Maria on Oct. 1,” said Jackson, who was inspired to help others after her son, Ronald, suffered through a bout of viral meningitis at age 7. Ronald is now 34 and Jackson says had it not been for the help she received from various groups during that time, she wouldn’t have made it. Even before she started making individual emergency kits, Jackson was giving back to her community. The list of charities that Jackson has contributed to is long. They include the Ronald McDonald House, United Way of Escambia County, Salvation Army, American Red Cross, American Heart Association, Boys and Girls Club, Big Brothers and Big Sisters and even Pensacola Junior College and other agencies. Those who know Jackson say she is a proponent for those in need. “Ms. Jackson has always been a champion for those that could not always advocate for themselves. She constantly demonstrates her personal conviction of community action and self-development through her involvement in philanthropic organizations in the greater Escambia County,” said Michael Johnston, Pensacola State’s director of institutional research. During her free time, Jackson serves as a mentor and role model for area youth. 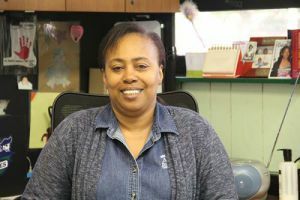 She heads the Pensacola chapter of the Omega Lamplighters – a group of 40 high schoolers – who are provided tutoring, ACT prep and college prep classes nearly every Sunday in Pensacola State’s own Chadbourne Library. The program’s results speak volumes. In May 2017, 12 Omega Lamplighters graduated from area high schools. Of that number, 11 are enrolled in college or university (two are at Pensacola State) and one joined the U.S. military. Jackson’s unselfish nature is very apparent. “I have been witness to the selfless number of hours she has spent working with philanthropic organizations in Escambia County – she really is a paradigm of virtue and generosity,” said Johnston who also has worked with the Omega Lamplighters. He reiterated the program’s success. “As the educational director for the Omega Lamplighters of Pensacola, Ms. Jackson has established a weekend program where these young men attend on-campus tutoring session in subjects like Math, Chemistry and English. She also provides opportunities for them to take practice ACT exams where she has seen substantial improvement in scores – allowing many of them to achieve scholarships and awards from colleges and universities,” he said. Jackson’s philanthropic nature has become her family’s creed. Her daughters still are actively involved in many local efforts as well as some of her five grandchildren.